Affiliates are promoters; individuals with large social networks, websites, YouTube channels or a lot of followers on Twitter. People care about what these trend setters think and say. E cig affiliate programs use the talents of these individuals to save money on advertising, but the benefit isn’t one-sided. 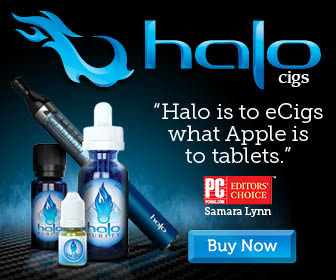 A small company selling electronic cigarettes isn’t able to spend lots of cash on advertising. The firm’s budget is limited and there might even be some trouble with advertising regulations regarding the promotion of e cigs, the same as there is with tobacco products. As a result, e cig businesses have to be creative. An affiliate is a partner with a business selling diet shakes, candles, or e cigs. He becomes associated with a brand such as V2 Cigs, Vaporfi, South Beach Smoke, or White Cloud and receives a custom code connected to his account. This is embedded into coupon codes for products he talks about on his website devoted to green living or how he gave up smoking. It’s built into banners pasted into e cig forums. It’s attached to links dropped in his blog or on his website so that if a person clicks the link he is directed to the company’s e-commerce page but with a catch. If a reader buys something, that company (V2 Cigs, etc.) knows to pay a percentage of the order amount to whichever affiliate was responsible for encouraging the sale. If you sign up to do this job, no one will send you samples to demonstrate to friends. You won’t have to host parties, stock starter kits, or handle cash, checks, and credit cards. This is a promo-only gig. Although a vaping company can set its own rules regarding which affiliates to accept based on their internet platform and, later, based on sales, the amount of money you make is only related to how hard you work to promote the brand. Every firm handles this side of the arrangement a little differently. They might provide “tiers” based on sales levels. If you are responsible for sales of up to $999, this would lead to a pay-out at the lowest percentage. The next level would correlate with sales between $1,000 and $1,999, etc. Some firms also pay a percentage for 2nd tier sales; that is if the affiliate signs up another recruit, this second person’s success yields financial benefits for the original affiliate. An e cig affiliate marketing program is usually a cash-only arrangement. Companies don’t pay in product, points, or discounts; real money is deposited into the partner’s bank account, paid by check, or sent to his PayPal account. Payout is based on a monthly minimum of between $50 and $100. Whatever the percentage a company offers, this is only a part of what a potential partner should weigh up as he or she decides whether to market V2 or White Cloud; Green Smoke or South Beach Smoke. What really matters is whether people are visiting your page and how many are going to buy stuff when they get to the e-cig website. “Traffic” refers to the number of visitors to a site. “Conversion Rates” relate to the number of visitors who buy something. No one should ever have to pay money to become an affiliate. A lot of firms are vague about commission until you sign up. I found this to be true of Blu Cig who didn’t say as much, but another site mentioned that it’s not a percentage one earns but a dollar amount depending on the item sold. At Apollo, you earn 20% on sales and also receive $10 for signing up with the program in the first place, but their limit for payouts is $100. Partners receive a custom URL and support from the company. At Vaporfi, returns are 10% on e-liquid sales but 25% on starter kits which is a pretty common commission percentage. Associates receive a list of key words, a URL, and can order printed advertising materials at a discount but not for free. This is meant to be mainly an internet-based platform. The top-rated companies are Vaporfi, V2 Cigs, Halo, and South Beach Smoke. Ratings suggest returns for affiliates are excellent, but you might be competing with a lot of existing associates for a market share.